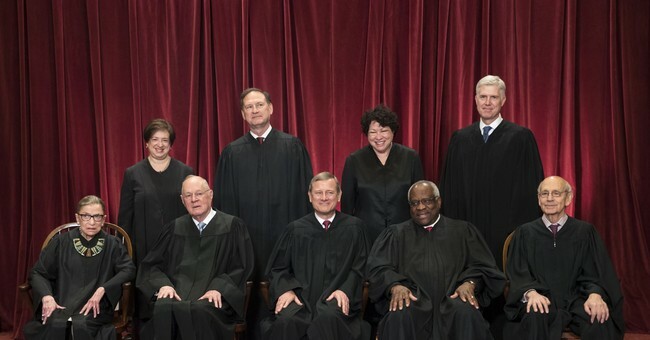 This past Wednesday, within hours of Justice Anthony Kennedy’s announced retirement, Senate Minority Leader Chuck Schumer (D-NY) announced that Democrats will fight against any nominee picked from “President Trump’s pre-ordained list selected by powerful special interests.” It is irrelevant that Trump ran on that list of 25 nominees or that 21 percent of voters considered U.S. Supreme Court appointments to be the most important factor in casting their votes. Still there are some nominees from that list who will upset Schumer and others much more than others, and despite what Democrats claim, abortion isn’t the primary issue. Following all federal judge appointments for over the past four decades, I found that confirmations took much longer and they were much less likely to be successful for graduates of top-10 law schools who served on their school’s law reviews. In fact, it took 65 percent longer compared with graduates who neither went to top law schools nor did particularly well there. Among nominations from the Carter administration through Obama’s first term, confirmations took about 160 percent longer for the top students at top law schools who further distinguished themselves with clerkships on the Supreme Court. Similarly, Democratic senators don’t want a conservative Supreme Court Justice, even one who is somewhat closer to their views, who will be effective at persuading his colleagues. Justices or lower-court federal judges can also exert influence by writing powerfully-worded decisions that are more likely to be cited in future rulings. Here, the evidence of “dumbing down” is striking. According to my research, federal judges whose opinions once they were on the bench were cited 20 percent more often than those of their peers faced 60 percent longer confirmation processes. Senators turn out to be very good at predicting how influential judges will be, and looking directly at citations is an even better measure of influence than where someone went to law school. Many politicians are going to do whatever they can to block the selection of smart people whose views differ from their own. This phenomenon has been borne out in the increasingly contentious confirmation fights of recent years. In the past, Democrats had no trouble accepting a Republican Supreme Court nominee who strongly opposes abortion as long as they weren’t very smart. When President George W. Bush nominated Harriet Miers for the Supreme Court, fellow Republicans threatened to embarrass Miers by asking law school exam type questions during her confirmation. They saw her as an intellectually weak pick, and they were happy when she withdrew her nomination. Democrats generally supported Miers. Senate Democratic Minority Leader Harry Reid pointedly announced: “I like Harriet Miers.” Evidently, despite Democrats' support for abortion rights, Miers's “rock solid” opposition to abortion and President Bush vouching for her being a conservative wasn’t an issue. By contrast, take Democrats’s implacable opposition to Judge Robert Bork’s nomination. Democrats defeated Bork precisely because they viewed him as an intellectual threat. It is understandable for the two parties to oppose each other's smartest nominees, but this comes at a cost. The law has now become so complex, in so many areas, that a smart judge — regardless of his or her political leanings — might be better equipped to avoid errors that cost lives or billions of dollars. Democrats will claim that they're simply upset about the views of Trump’s forthcoming nominee, but what really worries them is the intelligence or influence of the pick.